We had an amazing time getting to see the Drive by Truckers play at the Rev Room in Little Rock last night. Taking advice from Carrie Borzillo's book Cherry Bomb, we decided to reserve a VIP table. Thanks Carrie!!! Excellent advice...you can't beat having your own personal wait staff and a clear view of the band. It's the way to go!!! 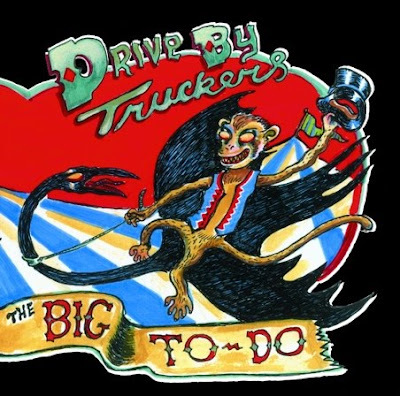 The Drive by Truckers know how to Rock. That become evident when the power went out and the band carried on. It was one HOT show...because of the band and the fact that with no power there's no air conditioner.